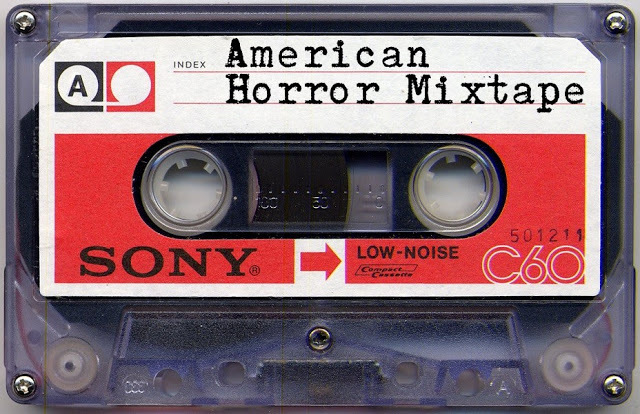 Following his UK Horror Mixtape, where writer’s talked about their favourite horror short story by a UK author, Mark has followed this up with the American version. I’m delighted to be asked to take part again. Here’s a clue (!) to which writer I’ve chosen but if you want to know which story I’ve gone with you can find out on Mark’s blog. I’m a sucker for modern reworkings of myths. I was in a bookshop in Conway recently and found a range of books from Seren called New Stories from the Mabinogion. In New Stories from the Mabinogion ten great authors have taken the Celtic myth cycle as a starting point to give us masterly re-workings with a modern twist in a series both various and wonderful. We have reached the orbit of Mars, the Tower of London and the edges of India, travelled in time to WW2 and forward to the near future, seen Iraq in drug-addled dreams, and viewed Wales aslant, from its countryside to its council estates. We have touched on nation-building and personal tragedy, bravery and betrayal. New Stories from the Mabinogion gives leading Welsh authors the chance to retell these medieval stories of Celtic mythology and Arthurian Britain in entirely their own way, creating fresh, contemporary novellas while keeping the old tales at the heart of the new. I loved the two novels I bought- “The Ninth Wave” and “White Ravens” and am excited about reading more in this collection. “White Ravens” by Owen Sheer is based in Branwen Daughter of Llyr, one of the four branches of The Mabiniogion. If you’re like me and aren’t familiar with the original text there’s a synopsis to refer to at the back of each book. “The Ninth Wave” by Russell Celyn Jones is from Pwyll Prince of Dyfed. This stayed with me for a while afterwards because the author made the future mythic. Pwyll struggles with the mantle of leadership in feudal post-oil Wales, where kids queues up at the local fish and chip shop to buy Class A drugs and franchises like Starbucks still exist. A massive congratulations to the winners! Issue 53 of Black Static is now out with cover art by Tara Bush, who has also illustrated my novelette, “Inheritance or The Ruby Tear”, which is included alongside stories by Steve Rasnic Tem, Harmony Neal, Kristi DeMeester, Danny Rhodes, Stephen Hargadon, and Charles Wilkinson. Both Tara and regular, Richard Wagner, have done the interior artwork. Features: Coffinmaker’s Blues by Stephen Volk (comment); Notes From the Borderland by Lynda E. Rucker (comment); Case Notes by Peter Tennant (book reviews); Blood Spectrum by Gary Couzens (DVD/Blu-ray reviews). Thanks to Andy Cox for taking “Inheritance” as I know it won’t be to everyone’s tastes. Get Issue 53 free when you take out a 6 or 12 month subscription. You might know Roy Gray as the friendly face at TTA Press’ stand at various events around the UK. He is also a writer and poet. His poem, “Farming the Wind”, will be included in a technology themed issue of literary magazine Shooter out later this year. Roy was a finalist for the 2015 High Sheriff’s Cheshire Prize for Literature with his story “Hallqueen”. The presentation took place on 6th July 2016 at the University of Chester with the winner and finalists bring presented with the anthology of their work: “Patches of Light”, which is available from University of Chester Press books. Top left: Roy reading from his story, Ian Seed (one of the judges and anthology editor), 3rd right: Roy with his wife, Irene. Joint runners up, who received £250, included Cathy Bryant with “For Yourself Alone” and Lynne Parry-Griffiths “My Will Ne’er Be Done”. The High Sheriff’s Cheshire Prize for Literature, has been running for 13 years, having been set up in 2003 by the then High Sheriff of Cheshire, John Richards OBE, DL. It’s open to writers who were born, live or have lived, study or have studied, work or have worked, in Cheshire. The High Sheriff’s Cheshire Prize for Literature 2016 will be for poetry . Beyond the Woods: Fairy Tales Retold edited by Paula Guran is now available from Skyhorse Publishing. I am very proud to be included in this anthology which Paula Guran has dedicated to the memory of Tanith Lee. My story, “Lebkuchen”, was originally published online in 2011 by Fantasy and is an original fairy tale. Follow this link if you want to know a little more about “Lebkuchen”.